When Cliven and his boys are breaking ranks with Individual 1, you know there’s trouble in paradise. For once I can say I agree with what he’s talking about. Anti-immigration rhetoric is dangerous, idiotic and uncalled for. Next time you eat a tomato, a head of lettuce, corn, watermelon, cantaloupe, honeydew, or just about any fruit or vegetable you get at the store, it was probably picked by an immigrant. Mostly because us Americans are too stinkin’ lazy to do the jobs they’re willing to do for a pittance. Immigrants keep America running whether you want to admit it or not. Anyone who says otherwise is not only a fool but a damned fool. Again, some of us really need to learn the difference between an Immigrant and an ILLEGAL Immigrant. Also, many Americans are NOT too lazy to do the jobs “they” are so willing to do. In most, if not all cases, farmers and ranchers won’t even hire Americans. But not because their “lazy”. They ONLY hire immigrants because yes, they do work hard, but they also work cheap, they wont organize, they wont report unsafe working conditions and they wont cause trouble for the boss man in fear of getting fired or deported. Hell, I picked strawberries and mowed lawns back when I was a teen. So did many of my “Lazy American” friends, so where’s the point? . Thru personal experience, I can honestly say, from what is said from many young American workers I’ve worked with and had workshops with is, they just don’t want those jobs, not because their “lazy” but because of the way they are treated in the workplace by those “Immigrants” you so covet. My own daughter had to quit two different jobs during high school because of the disgusting ways she was being treated at work by these coveted Immigrant employees. She was a cute little blonde and was constantly being “cat-called”, having those weird smooching noises made at her and being grabbed and groped at all the time. The males, mostly ADULTS, nick-named her … . Yeah, how would you like YOUR daughter being called that at work? they would call her that even in front of the boss who allowed it!. (Because yep, most managers at these entry level, low paying teen jobs are also “immigrants” so they can converse with their employees ) . The female co-workers were so jealous of these “lazy American kids”, they would go out of their way to make their job more difficult, tease them, point and laugh at them, sabotage their work and wouldn’t even try to communicate with the “Lazy American” kids. They would only speak to them in Spanish, knowing full well they didn’t understand Spanish. Talking to management about these issues does NOTHING, usually makes it worse and labels the Lazy American kids a troublemaker. So they quit. This was, and still is, an ongoing problem for American kids today and the reason, that most young “Lazy American” people today don’t want those jobs. Unfortunately, even Lazy Americans don’t feel comfortable being harassed, made fun of and being the only English speaking person at their workplace. So, to those who have their head in the sand so far that they won’t admit, or refuse to admit that maybe there’s a different angle on what’s going on here is not only a fool, but a dammed fool. I’m not even going to follow up on my initial comment. Why? I don’t need to. When I have you two around here to twist my words to your points of view. That’s right, you don’t need to. You were wrong the first time! Keep digging plant! BIGOT! BIGOT! BIGOT! RACIST! Those are the words squealed by NPCs when they can’t defend their views with logic or even think for themselves. It’s the reaction they(you) are conditioned to have bc of your excessive exposure to ultra leftist propaganda. It’s ok, plant, didn’t have high expectations for you anyway. There you go putting words into people’s mouths again. Never made claims about lazy Americans or what type of work second generation immigrants prefer. At this point its fair to highlight how much you lie and how disingenuously you treat others people’s ideas. What ideas, bike? None of you illegal immigrant supporters have presented any original thought? They pick my tomatoes for cheap, ok? So I have a bag of tomatoes that’s a little cheaper? Okay. No lying on my part. You’ve not presented anything of interest. Why should we allow in huge swaths of immigrants? Labor shortage, blah blah blah? So let’s flood them in by the tens of thousands? Create an excess labor pool of cheap labor? You seem to dance around news articles with stats w/o even actually making a point. Who is disingenuous? Actually highlighting misinformation and lies is a completely valid point in dialoug, especially when you use them so rampantly. And there you go fabricating another lie. When did I say I “support illegal immigrants”? Please do show me or be honest and admit you lied. And nice attempt at twisting my words. I’ve been very honest and genuine about my goal on this site. If you are going to state falsehoods publicly than be prepared for people to call them out. Free speech isn’t some one-sided vacuum in which ideas go unchallenged. These farmer types have always taken full advantage of cheap illegal labor. 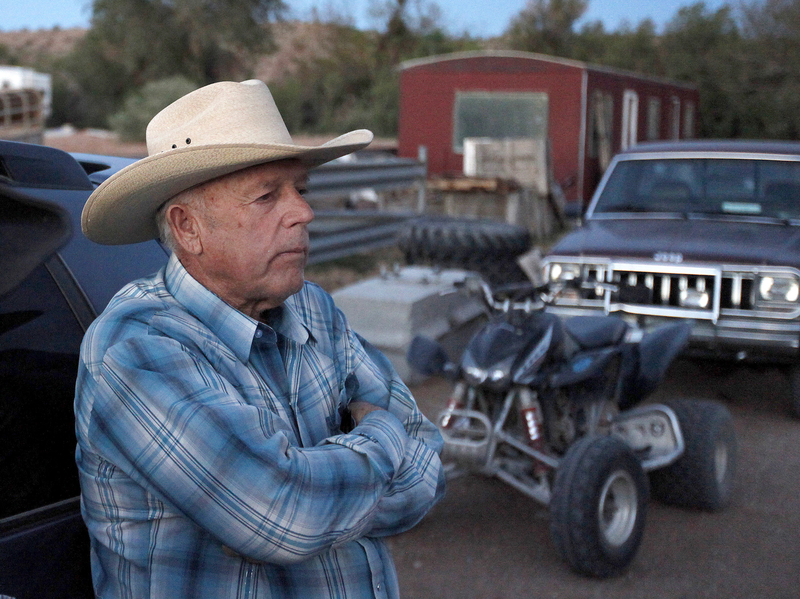 The Bundy clan are like a lot of the idiots I ran into in Idaho. It’s full of these old clowns that use illegals to grow most of the state’s potatoes and work the dairy industry, among many other types of farming and ranching and many other things. It’s all about cheap labor folks. But it isn’t all that cheap when taxes are used for all the benefits the illegals qualify for after they have a few anchor babies. It’s shifting costs onto the taxpayers and not saving money at the end of the day. Yeah I feel sorry for illegals. Why do places like central america have to be full of such craphole countries? Shouldn’t they be working to fix up their homelands rather than just come up here and make ours look like the places they just left? There is no labor shortage. Employers just don’t want to pay fair wages. Illegals will work for less than fair wages because they are so used to living in poverty in their own countries. Poverty in the US is glamorous to them compared to poverty in El Salvador or wherever they came from. End of story. We’ve had a “labor shortage”, as its commons called, for several quarters now. Thats what is relevant to reports that show “there are more job openings than there are eligible workers to fill them.”. In May there were 700,000 more job openings than unemployed Americans. That is completely isolated from the wage issue. I love that you think stating “end of story” without actually supporting your claims is an effective rhetorical technique. You’ve done similar with your psuedoscientific statements and now to justify your odd immigration claims. By all means then, let’s let unlimited numbers of illegals flow in. Gotta fill that “labor shortage” at any cost. It’s not isolated from the wage issue at all. That is purely your opinion. And a very bad one. How is being short 700,000 workers related to wages? That is what the labor shortage is, comment. 6.7 million job vacancies > 6 million unemployed. That is the fact, not opinion. The labor shortage is that deficit, ie wages don’t matter when there are more jobs than available workers. If you are claiming illegal immigrants affect and are affect by suppressed wages than I agree but that is a different issue. Do you actually take the time to research before making such accusations and claims? And what a black and white reply regarding “let unlimited numbers of illegals flow in”. Another BS strawman and you use them consistently enough to believe you don’t have the ability to deal with facts that are inconsistent with your prejudicial ideology. If there is a massive labor shortages then wages would go way up. That’s how it works. A lot of these companies want employees that are highly skilled in several areas and want to pay garbage noncompetitive wages. Is this myth of this giant labor shortage a myth to flow more immigrants into this country? Are we expecting uneducated masses from south of the border to fill the demand for skilled workers? It’s lefty loony land. If there is a labor shortage it’s for highly skilled or highly educated workers. It isn’t for tomato pickers or janitors. Until low skilled service jobs actually pay a wage people can live on I can tell you there’s no labor shortage, no matter what your cnbc tells you. Its not a cnbc stastic but a federal one. You really are irrational. And you are likely right, the stastic probably deals largely with “skilled” labor versus farm work. But farm work is counted in job openings and unemployment stats and are part of the shortage. And I think we all know field workers are underpaid and that affects interest but that is different than the 700,000 laborer deficit previously highlighted. Its clear you value your own ideology and opinion over emperical facts. Unfortunately, we live in a system that’s designed to exploit labor. If wages were to go up, things like housing would go up, and this would negate any real gains in wages. It’s predatory capitalism at the core of it. It’s the worst of human nature allowed to run rampant in an economic setting. The US isn’t as bad as many places, ofc, but it seems to keep getting worse. Flooding in immigrants, whether legal or not, to fill some real or imagined “labor shortage” is an absolute bad idea. Citizens will be screwed over by a deal like that. The elitists will be happy because whether a warm body to fill the cog in the machine is legal or illegal doesn’t matter to them; they just want to pay the lowest wage possible. I’ve so far NEVER heard a good reason to flood in a bunch of 3rd world nationals to fill “labor shortages”. So what’s your point, bike? What are you even advocating for here? For the record, Trump is anti “ILLEGAL” immigration. If anyone is arguing for fully open borders then you should not have any locks on your doors and no security for your home. You must welcome in any and all strangers to walk in and help themselves to you, your assets and your family members. Anyone who is for fully open borders cannot have a lock on the front door to their home or that person is a total and complete hypocrite. We are a nation of laws and that includes immigration laws (even though the laws need to speak to todays immigrant request. The South American immigrants are bound by these laws to go through proper vetting. Some have legitimate claim for asylum and will be processed under a different set of laws. I am not anti immigrant, but there is a process, and people must wait their turn in line. The Bundys should realize these things. I question their stand on this issue. Religious beliefs can cause one to be blind-sided if government is in the mix. Personally, I take exception with the LDS hierarchy influencing any political matters. LDS involvement through various means (even monetary) to influence outcomes in matters of the state is compromising our first ammendment rights. I’ve said it many times, that Tithing $$$ is just as green when it comes from illegals as when it comes from citizens. They behave exactly like a for-profit corporation. So, so so typical of a for-profit corporation, they often see international borders as a hindrance to profit. The wall must be built! Build that wall! Trump 2020! What am I after? Honest, good-faith political dialoug that values fact over racist ideology. How about we start there. There are plenty of people who posit stricter immigration laws with those parameters in mind. You haven’t. I’ve been open and honest with my goal on this site. I will challenge mistruths and lies just like I have done with yours here. I mean you are tripling down on your unsupported and illogical claim about the labor shortage. And then instead of just admitting you are wrong you deflect to a completely different claim or issue (moving the goalpost). In a good faith dialogue you concede points when another proves your argument wrong with supporting, empirical facts (I disagree with Real Life but conceded an error to him this week). But you regularly act in bad faith. Start showing good faith exchanges and then maybe I’ll engage the retorts. Stop ignoring facts about the labor shortage and admit there is one or factually counter my arguments. Stop misrepresenting mine and others claims and actually take people on honestly, ie no more strawmen about “flooding” the country with immigrants. Stop using inflammatory stereotypes that most pf haven’t presented here. Pretty basic expectations in civil dialogue. But if I am honest I believe you already know this and intentionally behave the way you do. Feel free to prove me wrong as it would be refreshing to see you actually be logical, factual and behave in good faith in your contributions. i have said all i want to about illegals for now. to say more would not be productive at this time. Well of course the Bundy’s love illegal immigrants. They love lawbreakers just as they are. And the church membership is full of people who want cheap labor they can hire and exploit. This is a weak attempt by the Bundy’s to elicit sympathy. 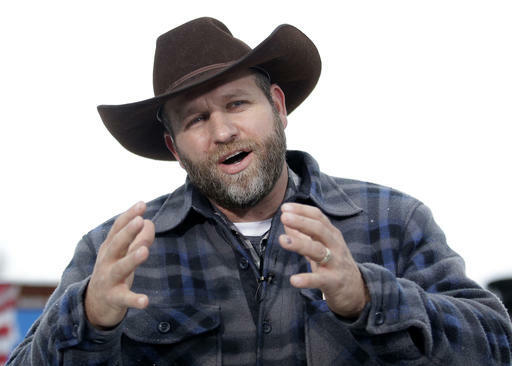 I think the Bundy’s must need a fresh batch of ” Vaqueros ” maybe. How ironic. The Bundy clan are now “social justice warriors”. I think this is misrepresented. I have not heard anything about the President preventing immigrants from entering our country legally. Before you toss my opinion please understand my wife immigrated to here. We went through the USCIS immigration process for two years and thousands of dollars. Our immigration policy and system is broken. Maybe now under this president it will be examined and fixed. I have previous experience dealing with a family member involved with a illegal criminal drug dealer who is mostly immune from our laws because I live in Oregon and it is a sanctuary state. The afore mentioned drug dealer has been arrested multiple times for many somewhat serious crimes but each time he is found to be a protected foreigner and is released without having to even pay a fine. My opinion is to build the wall first then fix our broken immigration policy and system. In USA, life, values, freedoms, beliefs are not that similar to south America. It is important to allow only enough immigrants into our country at a time so they can be assimilated into our culture and leave their own culture behind. Otherwise the fastest, strongest, smartest control everything. Our country is not like that. As example I offer for you to look at the quality of intelligence and strength we have elected to office here. Those are just few and ignores the executive order he previously called a “Muslim Ban”. Trump is proposing or implemented some of the most restrictive and punitive immigration policies since the mid-20th Century. I agree with Trump’s actions on immigration, and fully support him. Thank goodness he is our president! Build that wall! I support LEGAL immigrants that are good citizens! That is all empty campaign rhetoric. How do you define “good citizen”? If its law abiding than legal immigrants actually commit fewer crimes per capita than native born citizens. Under that argument we should increase pathways for legal immigration but instead Trump is decreasing them. See how Trump’s policy isn’t a rational approach to immigration and American values? Unless of course there are different values undergirding his policy, say influenced by the ethno-nationalism of Steve Bannon or Stephen Miller? Their beliefs limit “good citizens” to white Judeo-Christians. Is that what you mean?